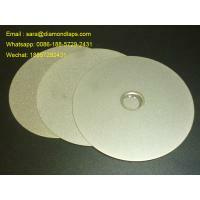 Application The lapidary tools-- flat lap diamond disc is widely used for polishing Jade, Crystal, Agate, Gemstones etc. 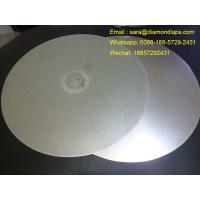 In recent years, the diamond polishing discs are also widely used for electric industry, photoelectricity , Glass artwork and precision machining industry. 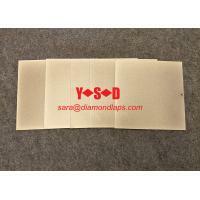 YSD Diamond Tools accumulated rich experience the manufacturing of the diamond tools under a very long term process of the production practise. 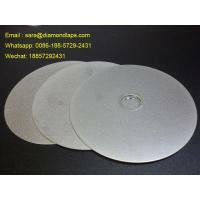 Through improving the metal bond holding ability of the diamonds and importing the advanced technical equipment, invalid diamond grits wear rate during the grinding and polishing could largely reduced and so that to extend the working life. About the arbor, the default aror is 12.7mm.If you want to have a larger arbor, please contact us to chambering in advance. The chambering service will be charged. Totally 16 grits from #60 t0 #3000. They are #60, #80, #120, #150, #180, #240, #320, #400, #500, #600, #800, #1000, #1200, #1500, #2000, #3000. Grit Explanation --Only for your reference. 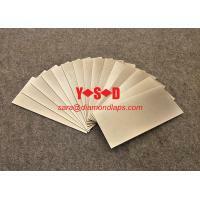 1)Rough grit is used for rough grinding to make the surface level. Please pay attenting the entire smoothness durring this process because there will be a certain removal. 2)At the fine grinding process, the removal is less, you could chose 4 to 5 different grit number to do the polishing with a the grit sequence. 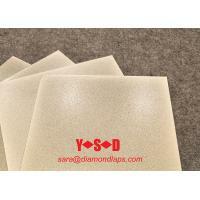 As you know that DIAMOND is the hardest material in the natural, scratches will be leaved on the surface of our be polished products,even if the finest grit #3000 could not reach to the mirror result. Mirror result need a more finer diamond lapping paste. 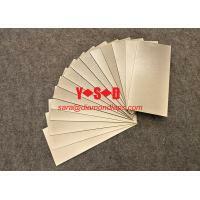 So please choose the approprate grit according to your practical requirement. We collected the feedbacks from most of our clients which they think that #320 above grit diamond polishing dics could help you avoid chipping during the glass polishing. However, this is only for your reference because every situation may different. 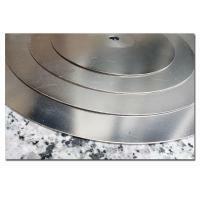 The wastage will be large if you use this flat lap discs to polishing the metal or alloy metal material. 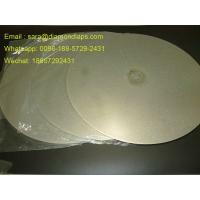 So the working life of this diamond flat lap discs will be shorter than using this diamond discs to polishing stones. So please give a carefull consideration before order. 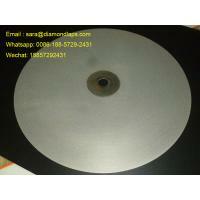 The back face of the diamond disc is metal base . 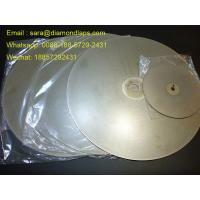 Single electroplated diamonds. 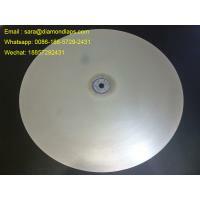 About the diamond polishing disc apperance, the products are volume-produced , occasionally there will be some scratches, small oil patch on the back face.But all these deffects won't influence the actual using. If you are very pay attention on the appearance.Please give it a carefull consideration before order. Although this discs could be used under wet or dry , we suggest you use some water to polish because it will extend the life span. 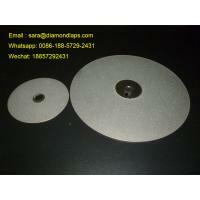 For more information ABOUT 6" inch #600 Grit Diamond Flat Lap Disc used for Lapiday grinder machine , please email me. 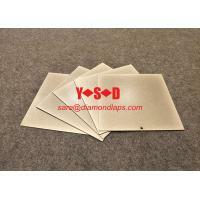 Yoshy Abrasive Diamond Machinary Tools Co.,Ltd is a professional abrasive diamond tools manufacturer. 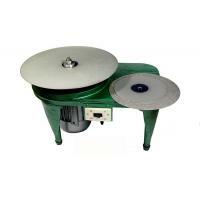 We specialized in the design , production, testing and sales of a wide range of products. 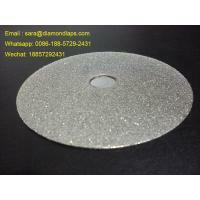 Our leading products include DIamond cup wheel, PCD Cup Wheel, PCD Grinding Disc and metal bonded CBN and Electroplated diamond tools, Grinding discs, Polishing pad, diamond cutting disc, grinding head, drilling tools, Glass tools and super hard material which are widely used for electric , machinary, building material , home decoration and hardware filed. 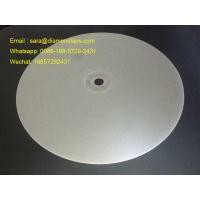 Over 15 years of production sales experience, product quality is stable, service life is long , work efficiency is high, the surface is good, environmental protection is non-toxic not fade color.